October 30, 2012 In News What is Michelle doing now? 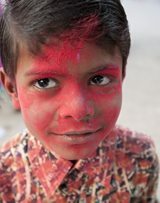 The first visit to any country has a strong impact, and as this was Michelle’s very first trip to India, when she returned home, her mind didn’t follow until two weeks later – she was just absolutely captivated by the country. After visiting over 70 countries, she can say hand on heart that India is like nowhere else she has ever been. Michelle spent her backpacking years in South America, which led her to her home for the last 22 years, Spain. So way back then, she decided to save India for a special occasion. An invitation to present a Keynote speech for the annual conference of The Preferred Group of Hotels was the perfect motivation for her to discover what is officially known as the Republic of India. 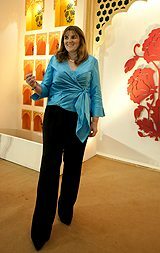 Michelle is honoured to be a keynote speaker at the 2012 Preferred Annual Conference, to be held in New Delhi, India from 17-21 October. 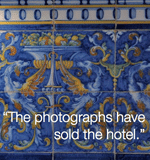 Michelle will give a Keynote speak on the importance of Far From Ordinary photography in the Luxury Hotel Secor. “Dear Michelle, This was a successful conference for us and your talk was well received,” said Jonathan Newbury, Vice President, Strategic Development & Regional Director, Preferred Hotel Group. Her keynote speech, “the importance of Far from Ordinary Photography in the luxury hotel industry” talked about just that – how your hotel must stand out from the crowd, and how our brains read the photographic message. 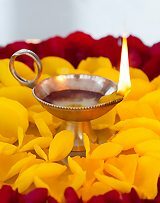 Sight is the strongest of our five senses, and is how we interpret the photographic image. In today’s online world, where we experience a daily visual bombardment, our skills of selectivity in this field are improving by the minute. 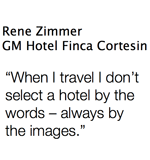 Therefore hotels must relish and market their properties to appeal to and satisfy our visual senses, so the viewer is compelled to say “take me there”. 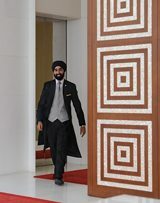 October 2012 Commission from Oberoi Hotels to capture “experience shots”, India. The Oberoi group, experts in luxury travel, commissioned Michelle to carry out a series of “experience shots” for four of their properties. A tour of the spice market. If you love cooking, colours and spices, this exotic tour is just for you. 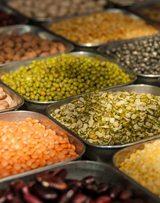 The trip includes a rickshaw ride to Khari Baoli, a street in Old Delhi, renowned for its wholesale grocery and Asia’s largest wholesale spice market selling all kinds of spices, pulses and tea. The spice market has been operating since the 17th century – its sights and aromas are a sensory feast and you have the privilege of an Oberoi chef as your guide. 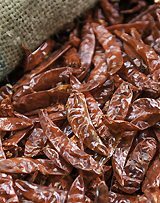 Smell the chillies roasting and dip your hand into a sack of rice or dried chillies. This tour is great for photography and an experience for travellers and gastronomy lovers alike. Within this brief, Michelle concentrated on capturing the colours of this market. Rajasthan is to India what Andalucia is to Spain; a snapshot of how people imagine the whole country to be. This is the iconic land of saris, turbans, maharajahs, temples, snake-charmers; intriguing bazaars, exotic spices, fragrant breads, exquisite print fabrics, vibrant colours, welcoming smiles – yes: Incredible India. 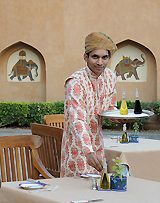 For Rajvillas, Michelle shot architectural images of the hotel entrance at sunset, which can be seen in recent Oberoi promotions, fabric-printing and flower-arranging classes for children, as well as an elephant trek into the countryside of Jaipur. 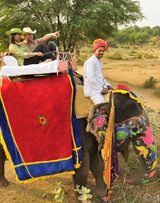 The world is seen from a different viewpoint when riding an elephant – the whole village turned out to watch the photo shoot. This hotel has a direct view of the Taj Mahal – bucket list, in-your-dreams, once-in-a-lifetime, one-off celebration stuff. Guests look utterly thrilled as they are about to embark on a trip to one of the Seven Wonders of the World just before dawn. Here Michelle shot private dining under the stars and cupcake cooking classes with their executive chef, as well as new pool images. 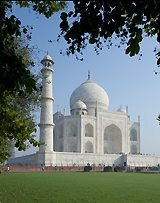 This is a dream hotel, where you just can’t believe that the Taj Mahal is perfectly positioned outside your hotel window. 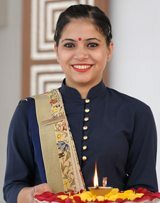 Whilst at this new architectural masterpiece, Michelle shot human elements of the hotel including the traditional Hindu “namaste” welcome, capturing the essence of the hotel. During the month of October Michelle also took the opportunity to shoot further images of the country, one of which has already been a finalist in the RPS Biennial Competition and been featured in the most sensational Nikon photography from 2012. Whilst travelling around the Golden Triangle of India, the majestic cities of Agra, Jaipur and Delhi, Michelle shot images in a photojournalistic reportage style of people and places, and vowed to return with almost every click.